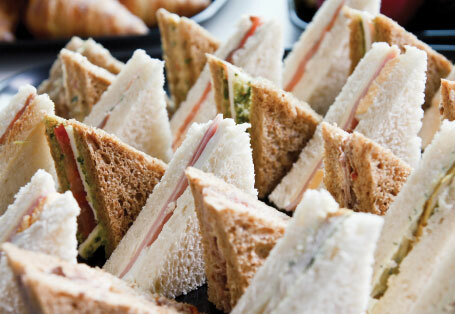 With ten years of providing sandwich fillings across Essex we know a thing or two about sarnies. We’ve taken a look at the nation's favourite fillings to inspire your next lunchtime. When you think of a sandwich, you think of a simple snack, a delicious but simple snack. However basic a sarnie may seem, they happen to be a standard part of daily British life. Whether it’s a bacon sandwich for breakfast or a classic cheese and pickle sandwich for lunch, it’s fair to say that the people of the UK really do love a good sandwich. It got all of us here at J.Buckland thinking, what are the nation’s favourite sandwiches. The good news is that we have been serving sandwich fillings to the Essex area for nearly 10 years now. Whether it’s working with major coffee shops, hotels, schools, bakeries, butchers or your local deli, we’ve been watching the sarnie eating trends change and evolve as the nation’s palate has developed. For such a straightforward idea, butter spread over bread with a tasty filling in the middle you’d be forgiven for thinking that sandwiches weren’t that interesting but when you consider how many shops and retail outlets sell subs, butties and rolls you’ll be less surprised to discover that this is a £7.5 billion a year industry. That’s billion with a B.
It’s safe to say that the people of Britain really do love a good sandwich. So let’s take a look at what the most popular choices out there are and what we think you should try. The classics are hard to beat so we thought we’d share our top three traditional sarnie fillings that are always top of most peoples list. Coming in at number one is cheese and Branston pickle, an all-time favourite. From school children to pensioners, it’s hard to find someone that doesn’t appreciate a good sandwich filled with a strong Cheddar and tangy pickle. In at number two is the prawn mayo sub, a filling that remains ever popular. When it comes to the summer months, whether you’re on the go or sitting in a pub garden there’s something quintessentially British about this option with a packet of crisps and a side of sunshine. The number three position is reserved for one of the most versatile options out there: ham. Coming in so many different variations, whether it’s a crumbed ham, honey roasted, gammon or an endless number of other options, we simply couldn’t leave out ham. On top of the different cuts and flavours, it can be added to other popular fillings, such as cheese, pickle or a fresh salad. Spicy Cubana chicken which is a fusion of chicken, spicy sausage, cheese and hot peppers in a rich spicy sauce. A great way to spice up your lunchtime. Piri Piri Chicken is a fantastic filler for those craving flavours and spice. As the nation continues to embrace this Portuguese classic more every year, having it as a sandwich option proves to be extremely popular. These next three options may not be the standard option that you’ll find on your local supermarket shelf but they do exist and have a place on this list for their complete ingenuity. Hot and spicy prawns take the classic and add a bit of a kick. Cannes cocktail offers seafood and fish lovers the perfect blend, mixing smoked salmon, juicy prawns and crab flakes with mayonnaise. For all the vegetarians looking for a bit of additional flavour, we offer you the onion bhaji crunch. A simple but flavour filled option, combine onion bhaji, diced red onion, and sweet chilli mayo. So there you have it. A collection of timeless classics alongside some of the new guard of tasty fillings. We’re sure there are plenty of other new and wonderful flavours that we’ve missed and plenty of other traditional favourites that you can think of that could easily have gone on this list. Our team of sandwich experts are on hand to help you find the right solutions for you and your customers. Whatever your preference is J.Buckland is sure to have something for you. To discuss our full range of prices and options with our team get in touch today.